There are not that many foods that begin with the letter Q, but those that do are well worth eating. 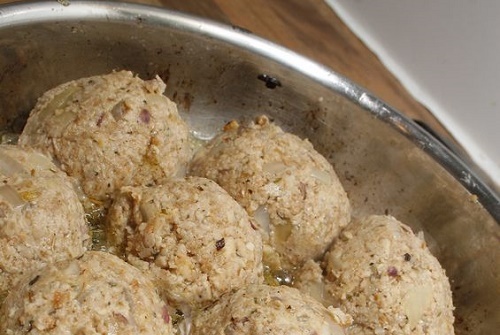 From an ancient fruit to an Inca grain, Q foods liven up any dinner table. Why not serve them all during the same meal? It would certainly be a talking point. 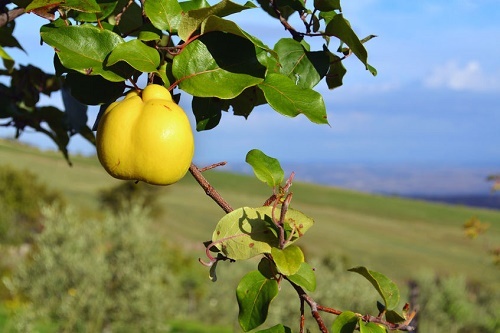 The quince is one of the oldest cultivated fruits. It was grown by the Greeks and the Romans and was an important food in medieval times. Quinces are hard and sour when raw, and only the best can be eaten without cooking. Traditionally, quinces were left out in the frost until they turned sweet. This process was known as bletting. Dipping raw quinces into seawater between bites also makes them taste sweet. Roast quinces until their flesh turns red. They develop an intense aroma and flavor and lose their sourness. Cooked quince deepens the flavor of apple pies and sauces, and goes well with roasted meat. 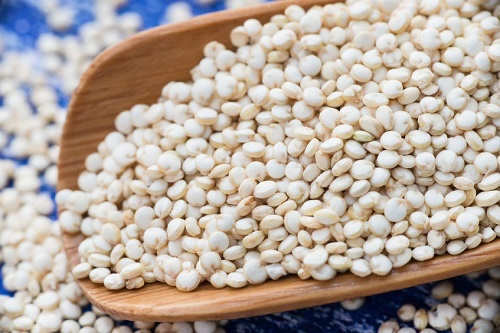 A South American grain originally cultivated by the Incas, Quinoa is rich in iron, phosphorus magnesium and calcium. Because it is eaten as a whole grain, it also contains a lot of fiber. Quinoa contains all the essential amino acids, making it a much more complete source of nutrients than wheat and rice. Among the common grains, only oats have as many essential amino acids as quinoa. Cook quinoa the same way as rice, boiling or steaming it until the thread-like germ separates from the seeds. Use it in place of other grains, or as a couscous substitute. Quinoa has a light texture, and a mild, nutty flavor similar to the taste of whole grain rice. The grains hold their shape well and can be used cold to bulk up salads. Quails are small relatives of the partridge. Because of their size, they are cooked and eaten whole. Quails are quite high in fat and cholesterol, so are best eaten as an occasional treat. They are rich in iron and provide calcium if you consume the bones. Quails are also farmed for their tiny but tasty eggs. Cook quails in stews, or roast them quickly. 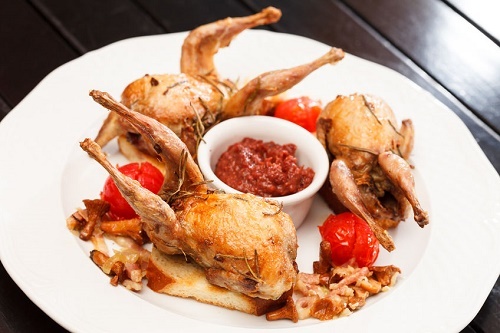 Keep roasted quails moist by wrapping them in bacon, or basting them with a spicy honey sauce. Quorn is a meat substitute made from a type of fungus. It is marketed as a mushroom protein and is the most widespread meat substitute in Great Britain and Europe. Quorn is fat-free and rich in protein. Quorn products contain egg and are therefore not suitable for vegans. Use Quorn cubes instead of meat in stir-fries and stews. Quorn mince is an excellent substitute for beef or lamb mince as it contains all the healthy protein, but none of the saturated fat and cholesterol. 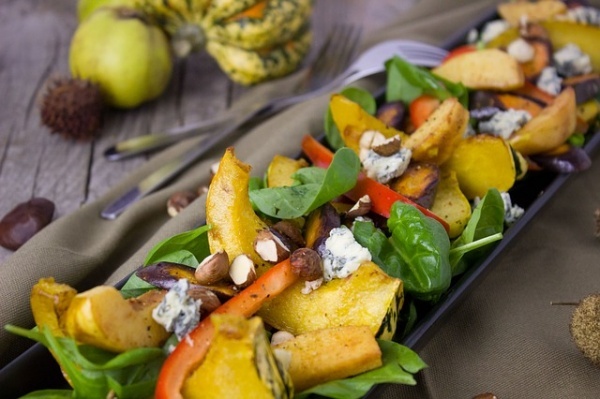 There are not so many Q foods that are nutrient-dense and healthy, but these four might become staples of your monthly meal plan. Feel free to experiment with them to come up with some tasty and wholesome meals.